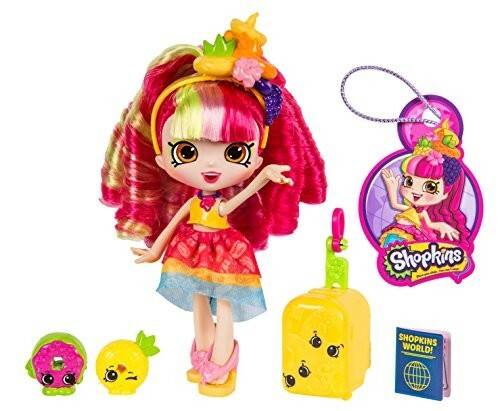 Each Shoppie comes with 2 Exclusive Shopkins, 1 suitcase, 1 Passport, 1 Luggage tag and 1 doll stand. Shopkin.Toys offers this listing, a free guide to parents of Shopkin loving children, as an easy way to identify your child's favorite shopkin character. 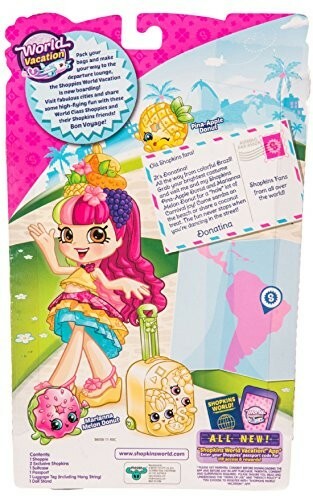 The Shopkins Brand is owned by Moose Toys, an Australian-owned toy design, development and distribution company founded in 1985 by Brian Hamersfeld. This site has no official affiliation with Shopkins, Moose Toys or Brian Hamersfeld, but we do love his toys, and would love to hear from him! Parents are free to print this page and take it to their local retailer as a helpful reference guide assisting children get their favorite Shopkins. 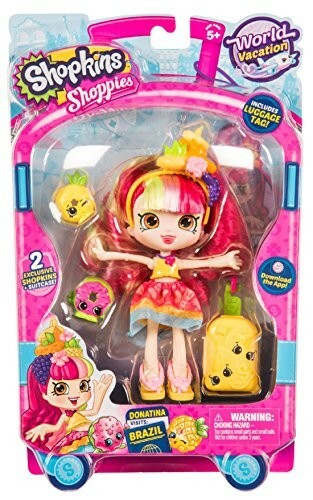 Enjoy, because todays kids are crazy about Shopkins Toys! This product is listed on amazon using an ASIN of #B06W2JLHY8	with an original MSRP	of $14.99	. Product prices and availability are accurate as of April 16, 2019 and are subject to change. Any price and availability information displayed on Amazon at the time of purchase will apply to the purchase of this product. Certain content that appears above comes from Amazon Services LLC. This Content is provided 'AS IS' and is subject to change or removal at any time.